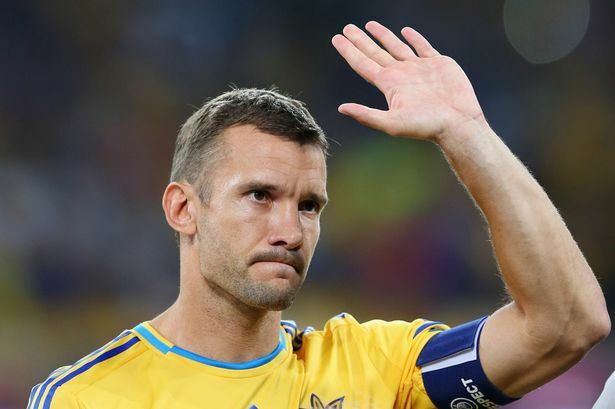 Former AC Milan striker Andriy Shevchenko was on Friday appointed coach of Ukraine, the 2004 Ballon d'Or winner's first job as a manager. The 39-year-old replaces Mykhaylo Fomenko who resigned after Ukraine were knocked out of Euro 2016 without scoring a single goal. The former Soviet republic's side was the first to be knocked out of the European championships after losing to Germany, Northern Ireland and Poland. At his peak Shevchenko was renowned for his lightning counter attacks and clinical finishing and he was a prolific with Dynamo Kiev and AC Milan as he was for Ukraine, for whom he scored 48 times in 111 matches. With AC Milan he won the Champions League in 2003 after a penalty shoot out win over Juventus, and clinched Serie A in 2004, when he was named European footballer of the year. He had a less prolific two year spell at Chelsea, where he won the FA Cup and League Cup before returning to Dynamo Kiev, where he first shot to fame helping his side to five straight league titles from 1995.